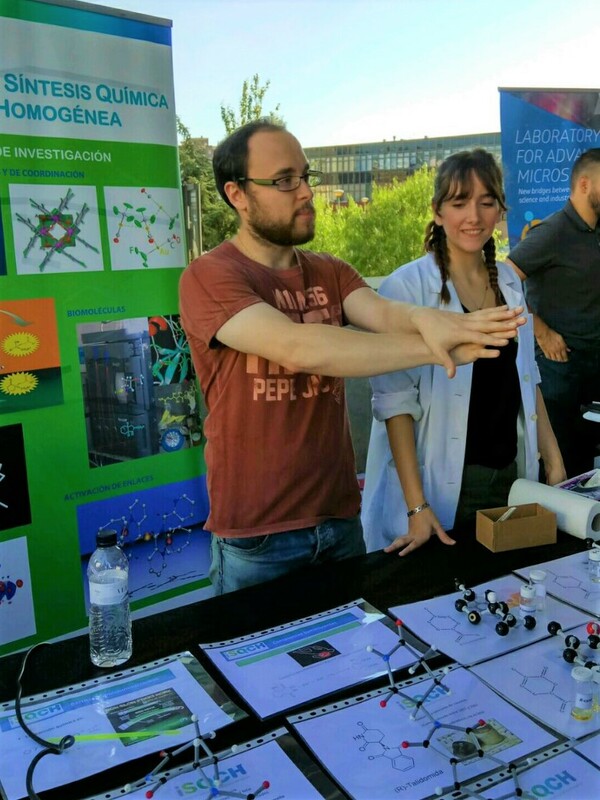 As each year on the last Friday in September, last Friday took place the European Researchers’ Night. This is a big event dedicated to popular science and fun learning, celebrated simultaneously in 300 cities across Europe and in neighbouring countries. Raquel, Sandra and Isaac were in CAIXAFORUM ZARAGOZA explaining to curious people about quirality and other interesting things. For sure, all of them enjoyed a lot!! 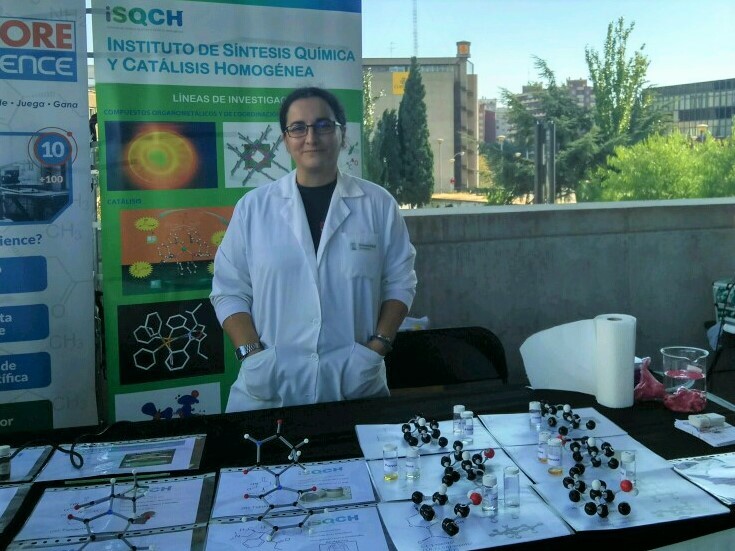 This entry was posted in Raquel P. Herrera, Scientific dissemination and tagged 2017, Isaac G. Sonsona, Raquel P. Herrera, Sandra Muñiz Bustín, Scientific dissemination. Bookmark the permalink.